This is the fourth of a series of enjoyable murder mysteries with a great cast of characters and baffling crimes which will keep you in suspense to the final page. Jenny Starling is a traveling cook who has had some great assignments, although in several cases there had been at least one murder. This highly sought after cook has been forced to divide her time as a rather impressive amateur sleuth. Jenny is rather optimistic at this time. After all, she will be working in a glorious castle with very respectable hosts. Although she spots an odd staff member occasionally, she maintains her positive attitude. Things quickly change, however, when someone working at the castle is killed with a valuable dagger that is usually on display. When the lady of the house insists that the police allow Jenny to assist in their investigation, she jumps right to task. In her usual brilliant manner, her powers of deduction begin to shine, impressing everyone around her. 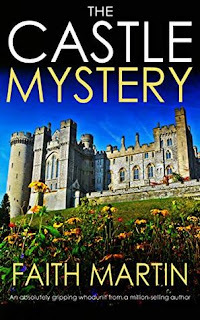 The Castle Mystery is another delightful cozy mystery in the Jenny Starling series. In each case, Jenny exudes remarkable skill and confidence. I loved this book and I have also enjoyed the other titles. The next book in the series is The Oxford Mystery. 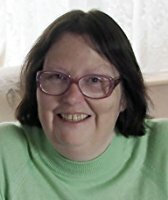 Formerly published as An Invisible Murder under Faith Martin’s pen name Joyce Cato.